Today is a National Day of Action in support of Nan-Hui Jo, one of the woman caught up in a US justice system that criminalizes the actions of survivors and profits off their imprisonment. As we’ve covered before, Nan-Hui Jo is a undocumented Korean domestic violence survivor who landed in ICE detention and is facing possible deportation after being convicted of child abduction after she and her young daughter fled her abuser. Recently, ICE filed a motion to cancel her immigration court hearing set for later in the summer. She’s now been in detention, separated from her six-year-old daughter, for 11 months. 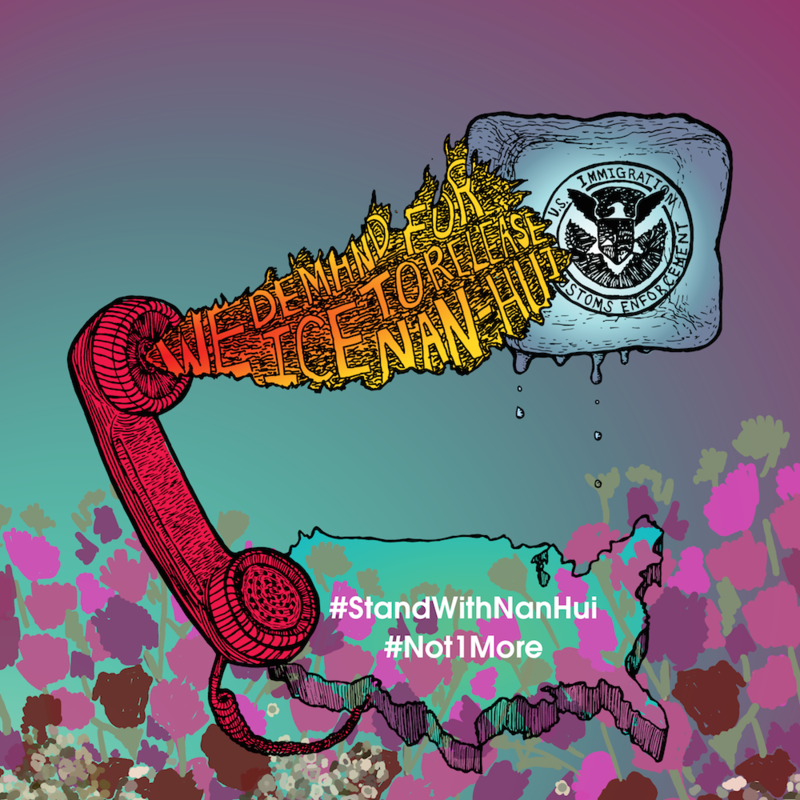 Check out the #StandWithNanHui toolkit to see how you can help pressure ICE to free Nan-Hui via phone, email, and tweet.